Hawaii is set to become the first state to ban the sale of sunscreens containing chemicals believed to be harmful to the environment. State lawmakers passed a bill Tuesday that prohibits the sale and distribution of over-the-counter sunscreens containing oxybenzone or octinoxate, two chemicals that have been found to "cause genetic damage to coral and other marine organisms." "These chemicals have also been shown to degrade corals' resiliency and ability to adjust to climate change factors and inhibit recruitment of new corals," the bill reads. The contamination is "constantly refreshed and renewed everyday" by swimmers and beachgoers, according to the bill. A 2015 scientific paper reports up to 14,000 tons of sunscreen gets released into coral reefs each year. Red on this map shows dead or dying coral reefs. August 17, 2017. It's not just happening in Hawaii. Coral reefs are dying off around the world. Scientists say it's mostly due to rising ocean temperatures, but new evidence suggests certain types of sunscreens are making it even worse in popular tourist areas. Some cancer experts expressed concern, however, that the ban on certain sunscreens could put people at greater risk of skin cancer. They question the science and worry people will be discouraged from using sunscreen since many environmentally-friendly alternatives cost significantly more. 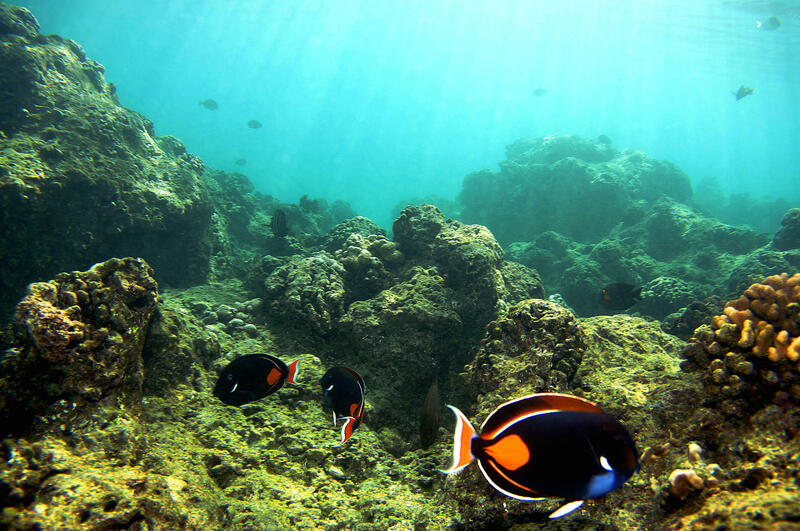 "Right now the cost of these so-called reef friendly products ranges any where from two times to six to eight times more than what's on most of the shelves now," said Karen Glanz of the University of Hawaii Cancer Center told CBS affiliate KGMB-TV. The bill is expected to be approved by Hawaii's governor, but it still needs to go through a legal review. It would go into effect January 2021, KGMB-TV reports.